Adorable pink,gold and purple baby girls cupcake first birthday tutu outfit. Personalized. Rush orders available! Made to order, Hand cut and sewn at the waist. Rush orders available. Choose long sleeve or short sleeve. 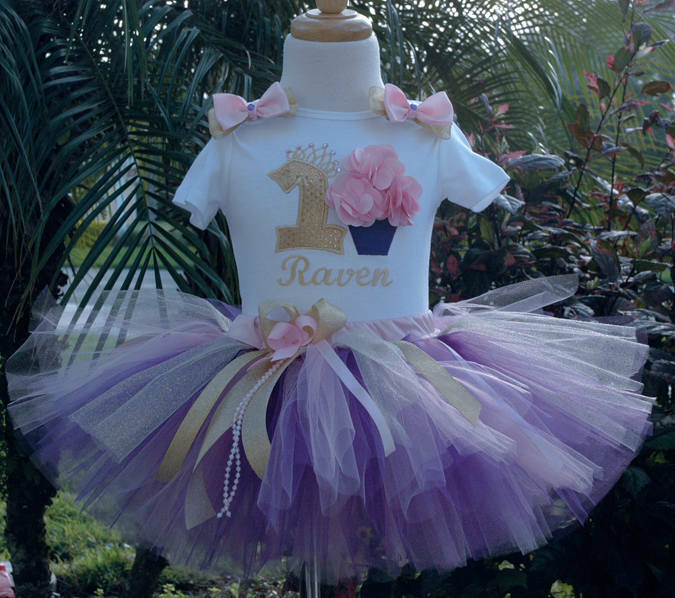 Can be customized to any age and color. This outfit was exactly as I had hoped it would be. Perfect for my girls first birthday. Seller was easy to communicate with and got order to us in a timely manner. Definitely recommend!